Inditex shares look priced for perfection. Stock in the Zara fashion retailer is up some 35 percent this year, against a 7 percent fall for rival H&M. Inditex equity is now trading at a whopping 31 times forward earnings. Rival H&M is at 22 times, according to Reuters Eikon data. Operationally, Inditex looks to be in a class of its own. While other retailers complained of unseasonably warm weather, Inditex grew sales 15 percent from Nov. 1 to Dec. 3 this year. Like-for-like sales, excluding added store space, grew 8 percent in the first nine months of the year, according to Bernstein estimates. That’s better than rivals and double Inditex’s historic average. Analysts’ consensus is that earnings per share will jump 18.5 percent this financial year, against 7.5 percent for H&M. Can Inditex maintain the pace? It has a distribution model which lets it respond to shoppers’ tastes, switch designs fast and avoid markdowns. That gives it competitive advantage over rivals such as H&M and Gap. Its online offering also is strong. But the longer Inditex shines, the harder it is to keep it up. Gyrating currencies may hurt Inditex. Around half its sales come from outside the euro zone and foreign exchange rates could well reduce the value of its non-euro earnings abroad. Currency translation may be a net positive for current-year sales, but analysts at Societe Generale expect currencies to drag revenue down next year by 1 percent. Currencies also impinge on profit because Inditex’s centralised sourcing and distribution model means that a large chunk of its costs are in euros, even if it is less exposed to a strengthening dollar than some rivals. The gross margin slipped by nearly 1.2 percent, to 60.1 percent, in the third quarter against the same period a year earlier. The company expects it to remain broadly stable for the current year, which in Inditex’s view means plus or minus 0.5 percentage points. The risk, however, is probably on the downside. Inditex’s nimble business model means its shares are likely to stay in fashion. But being perfect isn’t easy. Inditex said sales in local currency terms increased 15 percent from Nov. 1 to Dec. 3 this year, despite mild weather around Europe. The Zara owner reported 16 percent growth in sales to 14.7 billion euros in the nine months to Oct. 31, 2015. Net income grew 20 percent to 2 billion euros in the same period. The gross margin was 58.8 percent, flat against the 58.9 percent recorded a year ago. Inditex reiterated that it expected margins to stay broadly stable for the full year. Inditex had net cash of 5.1 billion euros, up from 3.8 billion euros a year ago. 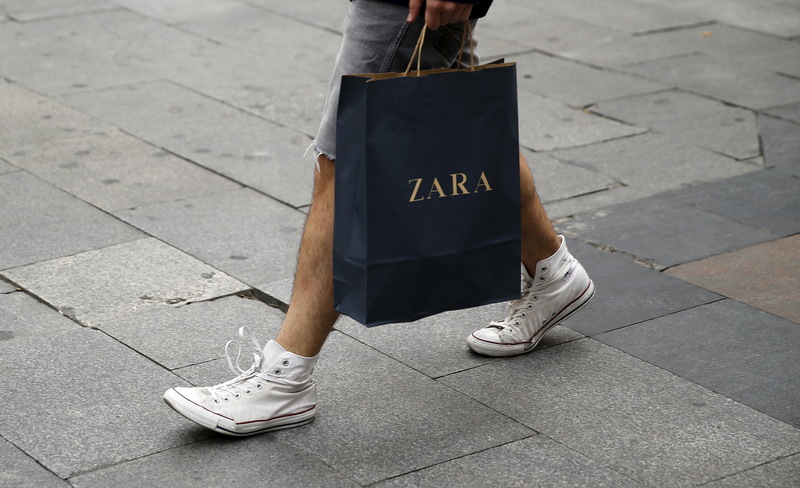 Inditex launched online sales for Zara in Taiwan, Hong Kong and Macau in the third quarter of the year, taking the total for Inditex to 28 markets. At 0828 GMT, Inditex shares were down 0.9 percent to 32.3 euros a share.